The latest Intergovernmental Panel on Climate Change (IPCC) report lays out a rather grim set of observations, predictions and warnings. Perhaps the biggest takeaway? That the world cannot warm more than 1.5 degrees Celsius (1.5°C) over pre-industrial levels without significant impacts. Featured prominently in the report is a discussion of a range of techniques for removing carbon dioxide from the air, called Carbon Dioxide Removal (CDR) technologies or negative emissions technologies (NETs). The IPCC said the world would need to rely significantly on these techniques to avoid increasing Earth's temperatures above 1.5 degrees Celsius, or 2.7 degrees Fahrenheit, compared to pre-industrial levels. Scientists at the Canadian company Carbon Engineering have moved carbon-capture technology one step closer from pipe dream to viable solution. 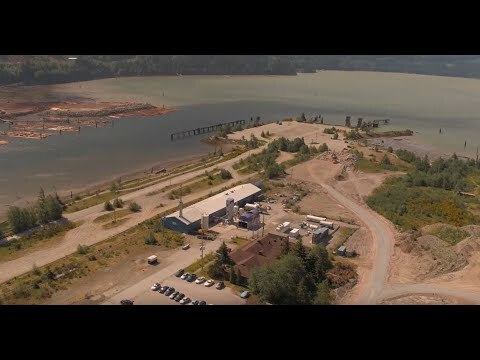 The company has developed technology at its plant in British Columbia that can both remove carbon dioxide from the atmosphere and convert it into carbon-neutral fuels, suggesting such technology could be a meaningful part of the fight against climate change. Trump Forest—a global reforestation project aiming to offset President Trump's anti-climate policies—has reached 1 million trees after thousands of pledges from around the world. Trump Forest was launched just under a year ago after POTUS announced he was pulling the U.S. from the Paris agreement. Nestled inside the U.S. budget lawmakers passed Friday morning were tax breaks for an array of energy sources, including some struggling and controversial projects and technologies. A bipartisan coalition of lawmakers, including several Democrats from coal-producing states, pushed through extended tax breaks for carbon capture and storage technologies (CCS) in the new bill, expanding a tax credit created in 2008 for 12 years. Swiss company ClimeWorks is capturing CO2 from the air with the world's first commercial carbon removal technology. Its Direct Air Capture plant is capable of removing 900 tonnes of CO2 from the atmosphere a year. How do you reduce CO2 emissions? The Global CO2 Initiative is pushing a unique approach: turn them into useful products, then sell them. Based in San Francisco, the company has the ambitious aim to capture 10 percent of global CO2 emissions through carbon capture and usage. While this method is still in its infancy, the initiative aims to commercialize new ideas quickly by granting up to $100 million a year for 10 years to researchers developing viable new products. Its global advisory board includes Steven Chu, the former U.S. Secretary of Energy, and Jeremy Oppenheim, program chair of the New Climate Economy project. "The idea here is go with what we call 'carbon negative technologies.' So think of trees on steroids. That's really what it is. So it is acceleration absorption of CO2 converted into products. Nature does it, does it very well, but does it slowly, and our solution says let's see what nature does, and do that extremely fast. So, instead of years, we want to do that in minutes. And the idea here is really all about developing and commercializing technologies that can absorb CO2 and convert it into useful products." "The first product that we are going to invest in is making cement. So think about cement and concrete and how much is produced. It is probably the material that has the highest amount of any material that man makes, basically. Just this product contributes over 7 percent of the global emissions of CO2. We have identified a company that produces cement and concrete at a carbon footprint 70 percent less than what's currently done. So imagine what we can do with this. If you can replace everything we're doing right now with this new type of cement material, you will reduce global emissions by 5 percent, which is significant. What we have set out to do is, we said we want to reduce carbon emissions by 10 percent a year. That's really our objective. And we think that just by adopting one technology we will be able to reduce it by half of our target." "Where we're going to start is where it's very easy to do so. So, if you go to power plants, CO2 is mixed with other things. The concentration can be anywhere between 3 percent and 12 percent, maybe 13 percent, but that's about it. However, if you go to different places, in a refinery where hydrogen is generated using something called methane reforming, when you do that, you generate pure CO2 that's just emitted. We think there is 100, 200 million tons of that that we can go to. The second area is if you look at how biofuels are made, when you ferment basically biomass and you end up with ethanol that's used in biofuels. As a byproduct, you get a stream which is 100 percent CO2, so you don't have to concentrate, you don't have to purify—it's there." President Obama, Canadian Prime Minister Trudeau and Mexican President Nieto are expected to announce a joint plan to generate half the three nations' electricity from clean power by 2025 at tomorrow's North American Leaders Summit. The plan encompasses not only renewables, but also nuclear power and carbon capture and storage operations. President Obama, Canadian Prime Minister Trudeau and Mexican President Nieto are expected to announce a joint plan to generate half the three nations' electricity from clean power by 2025 at tomorrow's North American Leaders Summit. Including these sources, 37 percent of the countries' electricity came from clean energy last year. Mexico is also expected to join the U.S. and Canada's target of cutting methane emissions 40 to 45 percent by 2025. White House senior adviser Brian Deese said the energy target is "an aggressive goal" for the U.S. but "achievable." Deese also said that the cooperation on climate and energy policy between the three countries "is stronger than it has been in decades … In all three countries, there is a significant move toward a clean energy economy." Sierra Club's executive director Michael Brune agrees. "This agreement means the United States will more than double the amount of clean, renewable energy we get from sources like wind and solar within the next decade. Plus, this new commitment moves us towards achieving this goal five years earlier than under existing agreements. "This is another demonstration of the international and North American unity behind a consensus for strong global climate action. Now more than ever, it's time we retire dirty and dangerous sources of energy like coal, oil, gas and nuclear, crack down on existing sources ofmethane pollution here at home, and commit toward growing a clean energy economy that creates jobs and protects our communities." Lou Leonard, senior vice president of climate and energy for the World Wildlife Fund, sees the coming announcement as "a clear signal that cooperation, not isolation, remains atop of the global climate agenda." "As the largest energy consumer, the United States must lead the way to this collective continent-wide goal by exceeding it at home through truly clean renewable energy and higher energy efficiency, Leonard said. "There's a big gap between what leaders pledged in Paris and the emissions cuts needed to fend off the most dire impacts of climate change. The United States needs to continue to drive international cooperation to accelerate emissions reductions and help developing countries leapfrog dirtier pathways. Today's announcements help move us closer to closing that gap."